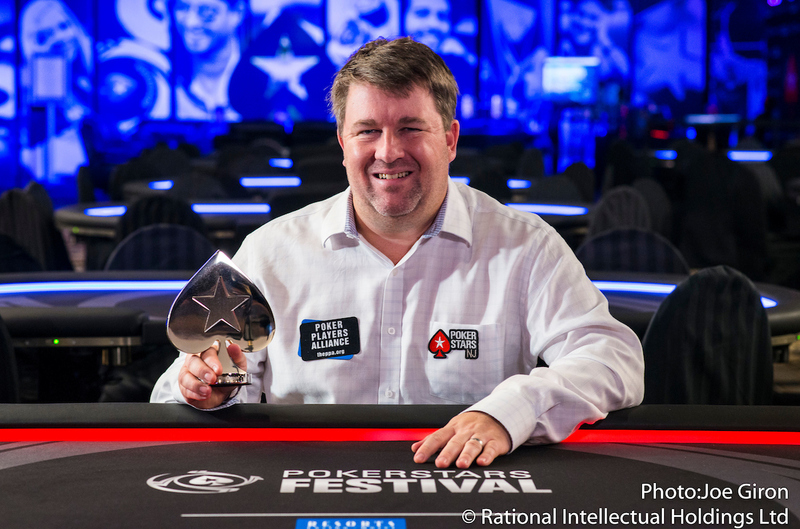 2003 WSOP Main Event winner Chris Moneymaker is a tiny bit richer - $1,880 to be precise – after winning the $560 PL Omaha Hi-Lo Turbo Event at the first PokerStars Festival New Jersey. It’s more than five years since PokerStars last held an official live tournament in the United States. Day 1a of the Main Event starts today. The debut Festival runs from October 29 until November 6, and features over 50 gaming events. New Jersey is the first stop of PokerStars' new re-designed global live tours. The 3rd annual Chad Brown Memorial Charity Poker Tournamen, hosted by Daniel Negreanu, will take place on Thursday, November 3, raising funds for the T.J. Martell Foundation for Leukaemia, Cancer and AIDS Research.